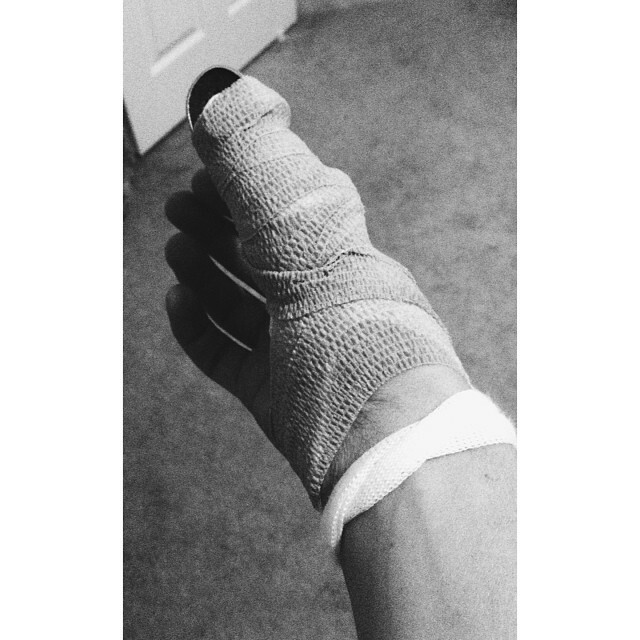 Good mooorning! How about a giveaway to kick off your Thursday? Not only am I nuts about nuts, but I am also a seed eater. 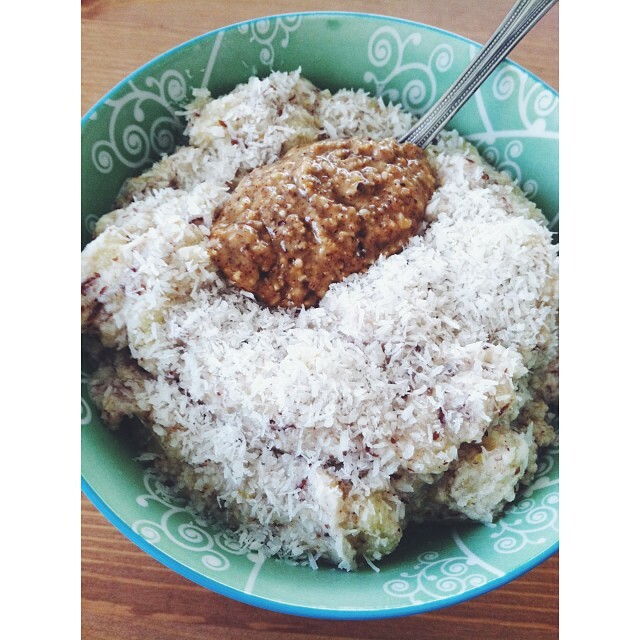 Sunflower, pumpkin, hemp, and most definitely chia, are staples in the Nutrition Nut kitchen. 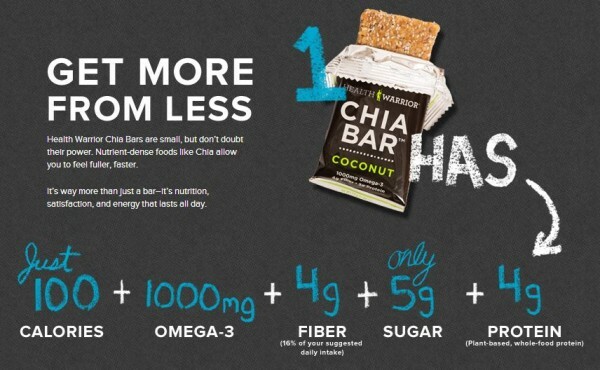 Chia is a powerful seed; it is the ultimate superfood. I eat chia seeds almost daily [read: What To Do with Chia Seeds]; they are easy to add to many snacks and meals as they’re nearly flavorless and add a pleasant crunch. 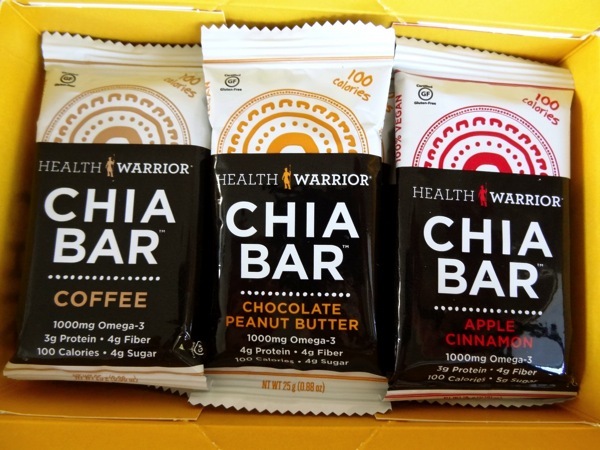 When Health Warrior caught word that I’m a chia chomper, they offered to send me a sampling of their bars, including their three newest flavors: Apple Cinnamon, Banana Nut, Coffee! The bars are adorable — they’re miniature in size and have stellar packaging… but that’s no sound reason to eat a snack, in my opinion. 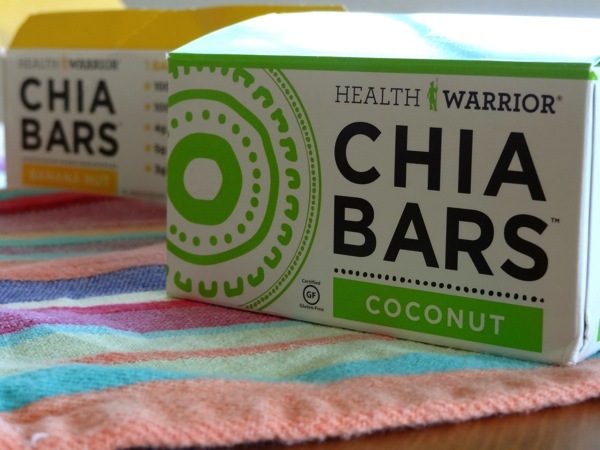 The reasons why these bars make for a smart snack is because: 1. they are portable [I will certainly be packing a few bars for my NYC travels]; 2. they are loaded with heart-healthy omega-3s (1,000mg per bar); 3. the ingredient list is s-i-m-p-l-e, with chia as the #1 ingredient; 4. they are dairy-free, gluten-free, soy-free, and low in sugar — score! How can you say no to that? At just 100 calories each (110 for Coconut), they’re an ideal pre-workout snack. With 4g of fiber and 3g of plant-based protein, they’re a light way to keep away the hunger pains and restore your energy. 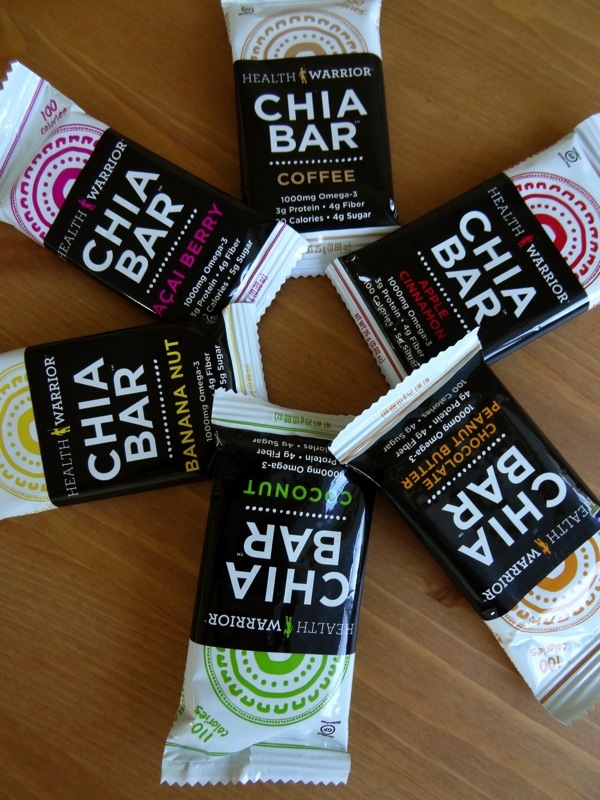 Wouldn’t you like a coffee chia bar to power you through a 3:00pm lecture, or how about a chocolate peanut butter bar to fuel you up for an afternoon run? 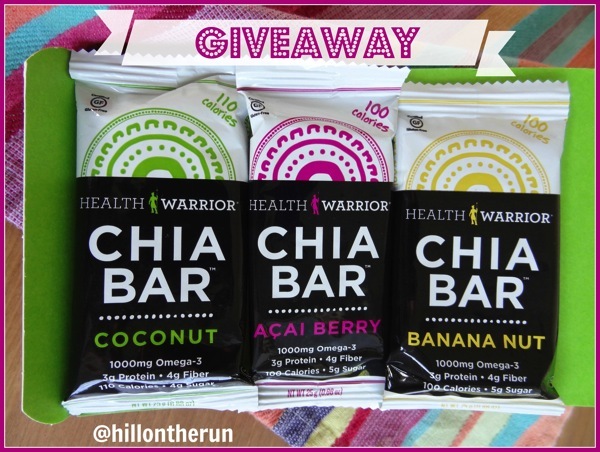 Enter the giveaway below for your chance to win and eat like a Health Warrior. 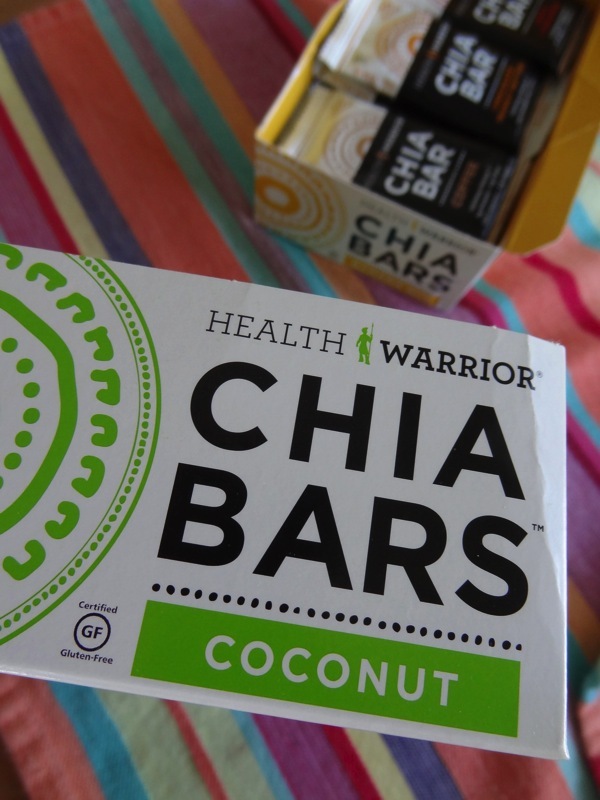 One lucky reader will win 2 variety boxes of bars. There are 5 ways to enter. Please leave a separate comment for each way of entry. 1. Follow Nutrition Nut & Health Warrior on Facebook. 2. 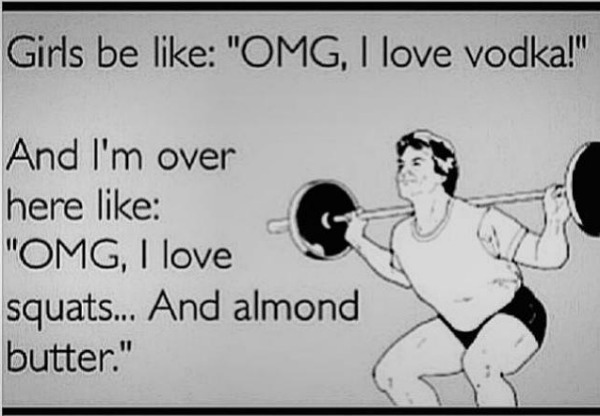 Follow Nutrition Nut & Health Warrior on Instagram. 3. Pin this giveaway to Pinterest. 4. 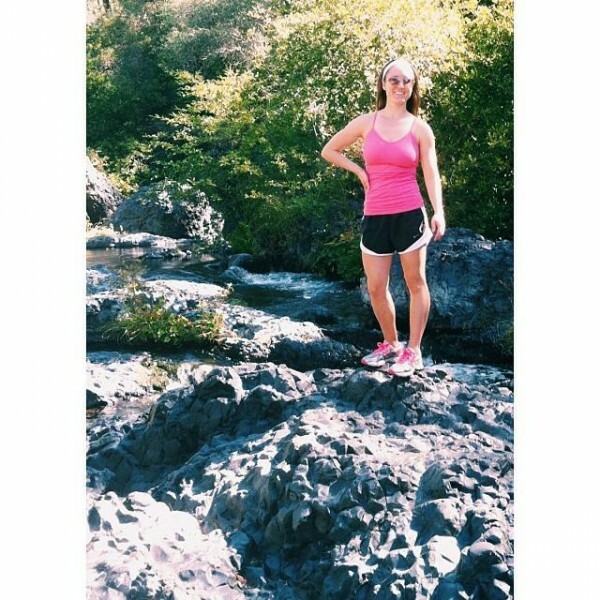 Follow Nutrition Nut on Bloglovin’ or subscribe via email. Giveaway ends Sunday, September 15 @ 8:00pm PST. The giveaway winner is Comment #82!